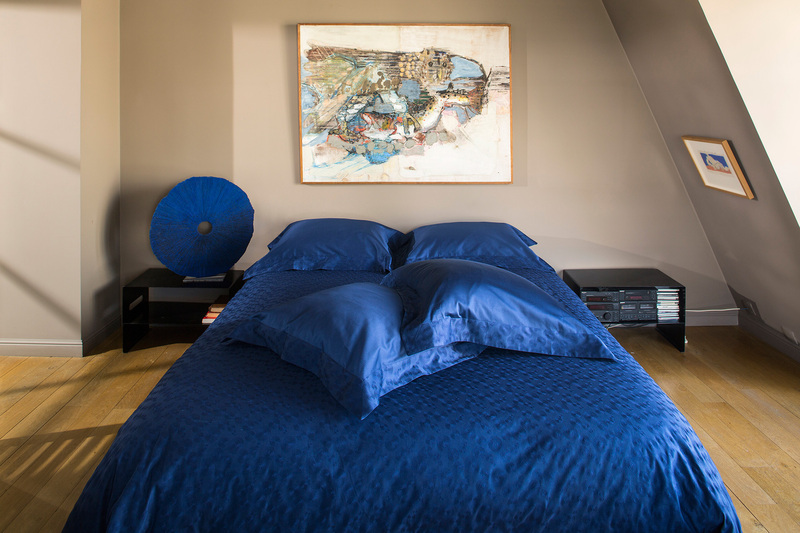 Bed in navy blue sateen embroidered tone on tone on extremely soft Egyptian cotton. The duvet covers are embroidered “ all over ” on one side only so as to keep the other side, soft on the skin ! This item exists in navy blue and a chestnut colour. Masculine shades with a feminine touch given by the embroidery which remains a discrete tone on tone. For lovers of ROLLS, a new version !